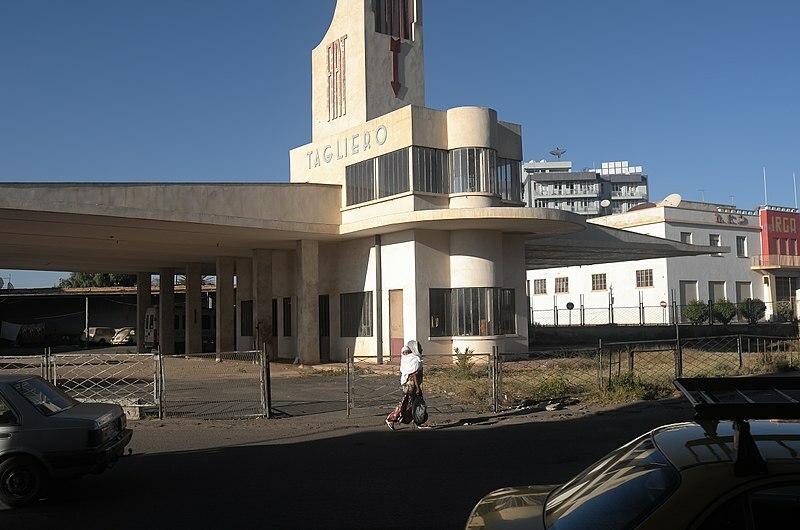 You could describe Asmara as a tiny chunk of early twentieth century Italy, right there in Africa – close to the Red Sea. Why Italy? 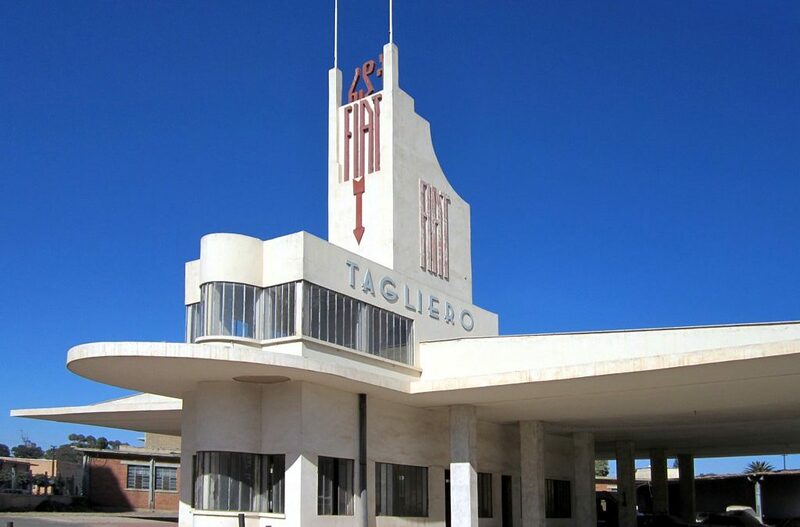 Italy occupied Eritrea for many years and during the Mussolini days, modern architects were encouraged to travel there to create the buildings of their wildest dreams. 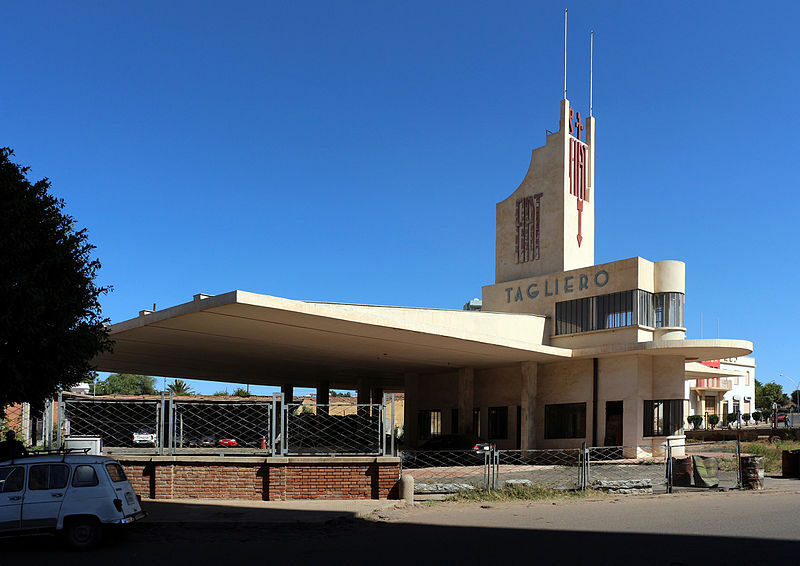 The Fiat Tagliero Petrol Station was designed by Italian architect, Giuseppe Pettazzi. 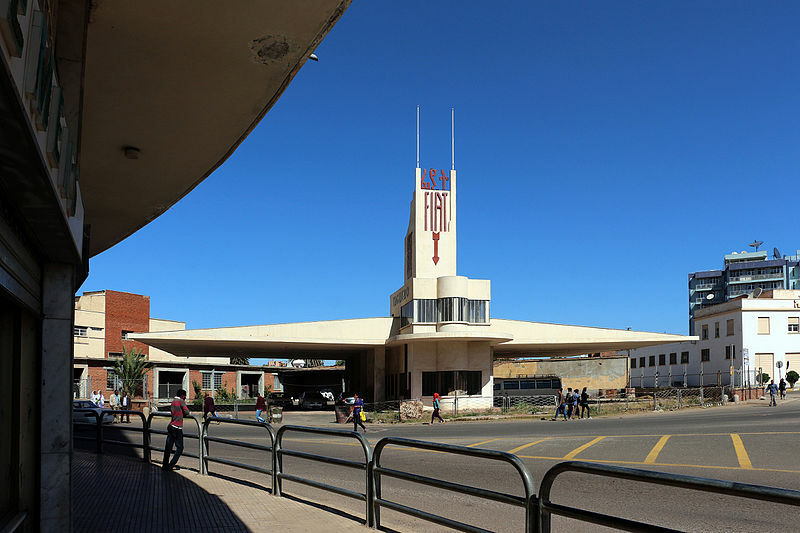 He designed the building to resemble an aeroplane on takeoff. 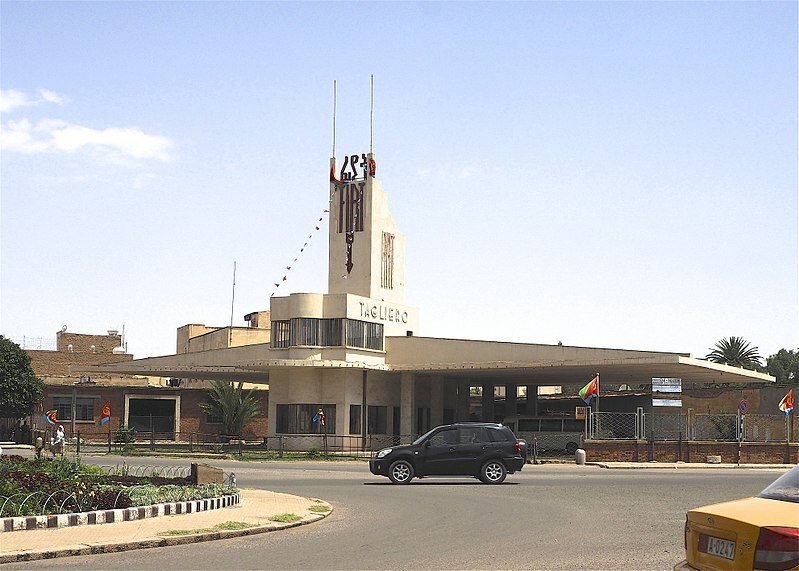 On each side are ‘wings’, for the practical purpose of shielding customers and their vehicles from the fierce African sun – which are supported from within the main central building. During the erection of the building, supports were used to hold up these ‘wings’ as no-one but the architect believe that they would remain in place – it was thought that they would collapse. The architect was insistent and the supports were removed – it’s said that he insisted by threatening the workers with a gun. That’s those passionate Italians for you. However, he obviously knew his stuff. This was when the building opened in 1938 – and the wings are still standing strong.